Life at the moment is hectic. Max is just twelve weeks old and had a bit of a rocky start. We discovered he’s allergic to dairy protein in formula and he also got the RSV virus. The team in Temple Street were amazing. 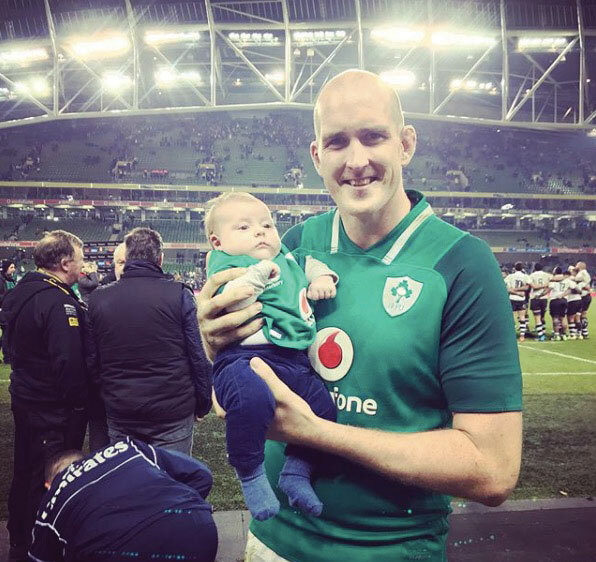 Life revolves around Max, my business, and of course, rugby, which really sets the pace for our lives, as it does for everyone involved in the sport. I started Bakers and Cakers 18 months ago but was incubating the idea for about three years. After my degree in Commerce and German at UCD, I enrolled on the Ballymaloe three-month course. Shortly afterwards, I entered TV3’s Head Chef and while I didn’t win, it was a terrific experience – afterwards I went to work as a pastry chef with Ross Lewis in Chapter One and stayed for six months. I also interned at the incredible Peggy Porschen bakery in London. And then I was brand manager for French patisserie company Ladurée in Dublin for four years. And in the evenings and at weekends, I baked for customers. Cooking is a huge part of our family life. Devin, Max and I live in a redbrick in Portobello. We bought and renovated four years ago which gave us the opportunity to adapt things for Devin’s height, like doorframes and countertops. The kitchen was our priority then, and remains the heart of our home: headquarters for Bakers and Cakers and the place we eat, hang out and entertain. We both love to cook. Living as close to the city centre as we do, on the rare Saturdays Devin isn’t at a match, we walk Max into town in the buggy and pick up ingredients at Fallon & Byrne. The rugby gang are such good pals and we are all in the same boat in terms of free time, or the lack of it, and we love to have them for dinner. They fully understand the commitment of a rugby career and how we have to squeeze in a social life between daily training, or camp, which can be ten days before an international match, and matches themselves. Right now, we need to return some dinner invitations! When I was baking, orders flooded in for cakes and there were too many for me to fulfil. As I connected with the baking community, I discovered there were hundreds of people – mostly women working from their own kitchens – baking fantastic cakes. But none had any real marketing or business capabilities; most were operating via a Facebook business page and word of mouth, not making any money. I thought, customers want to find the bakers; bakers need a shop window and some industry-specific business tools to help them run their businesses. 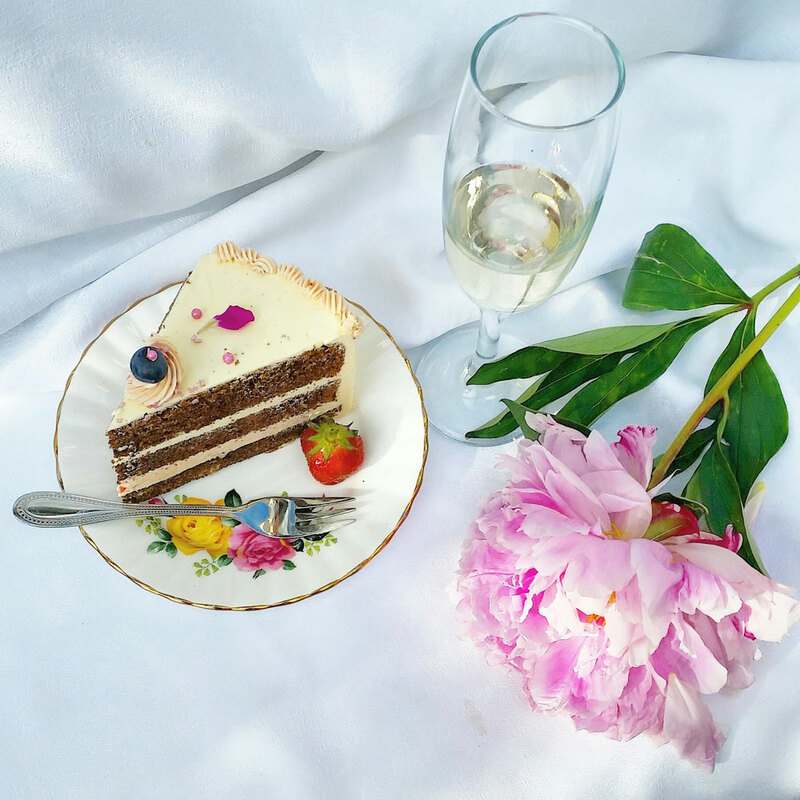 So Bakers and Cakers, an online confectionery directory, was born. Every day, I work on the business, which now has 127 Irish bakers on board, 70 with active profiles, with plans to expand. I have built the site with my web developer to be elastic, and keep adding features, much to his consternation! It includes a searchable directory for customers: type in “First Birthday Cakes” or “Wedding Cakes” and all the relevant cakers pop up, with photos of their cakes – or cupcakes, cake pops, macarons or marshmallows – as well as an enquiry box, conversation history, and payment function, and a toolkit for the bakers which will include a Cost My Cake function, which will allow them to calculate what to charge based on ingredients used. It’s user-friendly, for both caker and customer. How does the business work? I’m currently not taking anything at all but will eventually take two per cent of an order value. Or cakers can subscribe for ¤9.99 a month. I see the business having an international dimension, with bakers from the UK and even the US on board and I’m working towards that this year. I’m in Enterprise Ireland’s New Frontiers programme and there is wonderful support, in the shape of financial mentors, SEO specialists and seasoned entrepreneurs with international experience. My friends are as driven as I am. 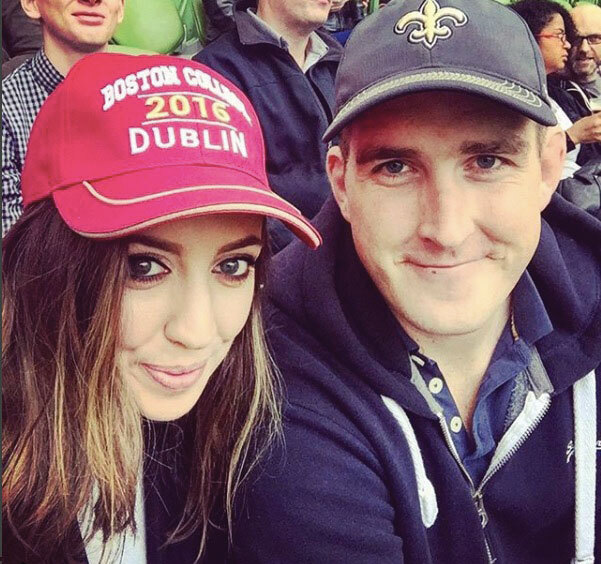 Rugby wives are a motivated group: Dairine Kennedy, who is married to Leo Cullen, runs the KDK scarf company with her sister Keira, and works fulltime at Google. There are doctors and lawyers. You have to have your own life when your partner is away so much. I love to eat out. My favourite is Chapter One for a special occasion. I adore Luna, and maître d’ Declan Maxwell. We are so lucky there are so many good restaurants in the neighbourhood. 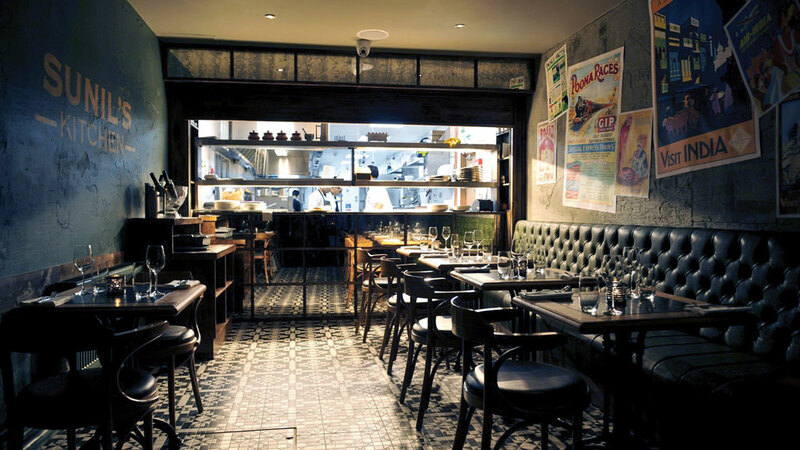 The owners of Tapas da Lola on Camden Street are neighbours and Pickle is a great Indian at the top of the street. A perfect date night would be at the Stella Cinema in Rathmines, for a cocktail and a movie. We sit at the back, so we don’t block anyone’s view! Every Saturday, there is a game. I am not going to many at the moment, with Max so small (though my dad and step-mum helped me take him to the South Africa game) and often watch at home with my dad. Sunday is family time. We go to Bibi’s on Emorville Avenue for brunch or to Dev’s family home in Meath to see his mom and sister and the whole family. They cook a massive feast. Dev and I are both from Meath, though we didn’t meet until eleven years ago. We always visit my mom in Meath too, who of course spoils Max like crazy. On Sunday, Dev will replay Saturday’s match on television, with Max snoozing beside him or on his chest. Sometimes I find them both asleep. In fact, I’m compiling a book of photos of them both having 40 winks, as a little present for Dev! Sunday evening, it’s off to bed, until Max, or the 6am training alarm, wakes us up again.